The PT-RZ670 Laser Projector is Panasonic’s answer to long term projection. This projector was developed with the goal of achieving the highest possible image level going in the ranks with the PT-RZ12K. Panasonics 6k supplies superb image quality with a brightness of 6,500 lumen and ideal white balance with increased detail and clarity, generating superior colour quality. With a durable design and a hard travel case, transportation has never been easier. The PT-RZ670 is built with a heat-resistant material, which is used in the phosphor wheel to withstand the high output of the laser light source. Combined with a drive system that is also optimised for the light source, makes this a unique laser projector as it exhibits 6,500 lumen of brightness in a 1-chip DLP™ projector. 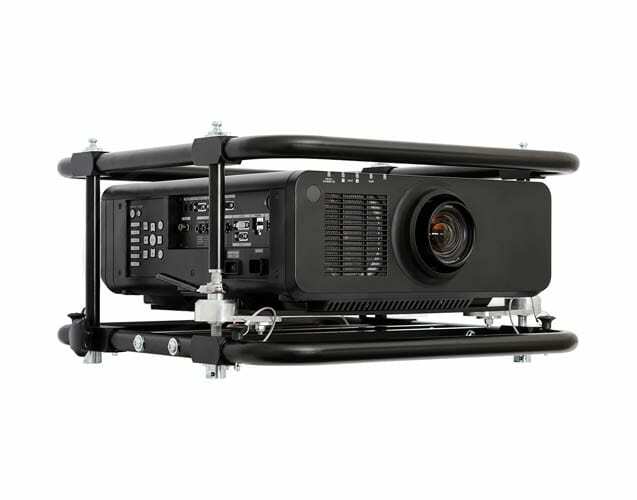 Long-lasting reliability and high picture quality is delivered due to the ingenuity of the laser projector not needing any lamp changes and the dynamic light control for a high 10,000:1 contrast ratio. This series of laser is built to directly control the output of the laser light source itself, enabling faster response than lamp-based projectors. The PT-RZ670 is engineered to enable highly precise contrast control even when bright and dark scenes suddenly or frequently interchange, making it the ideal projector for retail outlets, conferences, product and app launches. Implementing cutting edge technology this laser offers high brightness, high contrast and a wide colour range. As well as this, the additional features of, no filter required, low energy consumption and instant on/off capabilities, makes this a high demand laser for all event types. 24/7 consumption for up to 20,000+ hrs use is accomplished by the laser projector being expertly created. In the extremely unlikely event that the laser shuts down, the PT-RZ670 is in-built with a dual drive laser optical engine for longevity operation, meaning that the dual laser will step in and continue to project reliably. Powerful cooling system maintains stable operation from 0 degrees to 45 degrees. This results the laser projector not running the risk of over heating and shutting down, like a traditional projector. Because of this you can be assured that your presentation or promotional material will always be seen by your target audience.